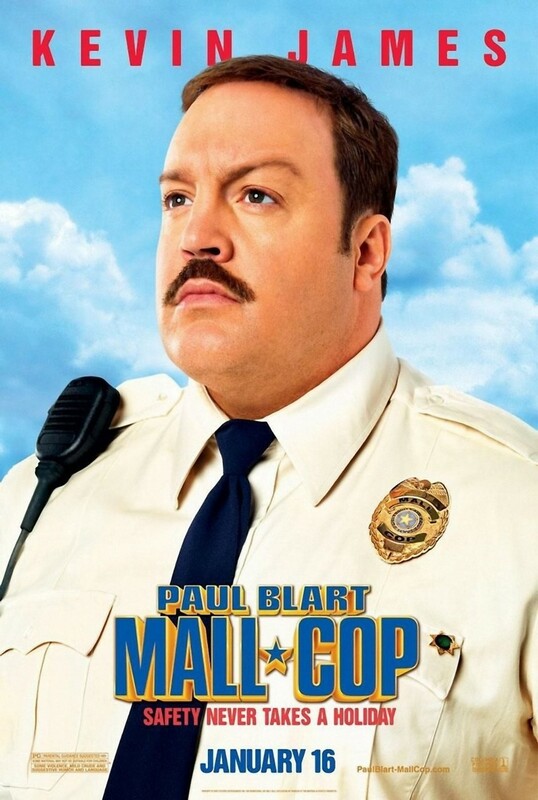 Paul Blart (Kevin James), an overweight, clumsy mall cop, dreams of being with the beautiful, young Amy Anderson (Jayma Mays), who runs the nearby wig kiosk in the mall. Meanwhile, the mall recieves a new guard in training, Veck Simms (Keir O'Donnell) and Blart is sent to guide and teach this new guy. It turns out that Simms is actually the leader behind a group performing a bank heist in the mall on Black Friday. When Blart gets stuck in the mall with some of the other employees, he gets a chance to escape and be safe outside, but he sees that Amy is still in the mall and he immediately goes back inside to save her. This movie shows the courage, smartness, bravery, clumsiness, and of course comedy of Kevin James as he plans his own operation to take down the whole gang and save the love of his life.